It’s a powerful thing to name your enemies. By naming them, you can keep always in front of you what you’re up against. 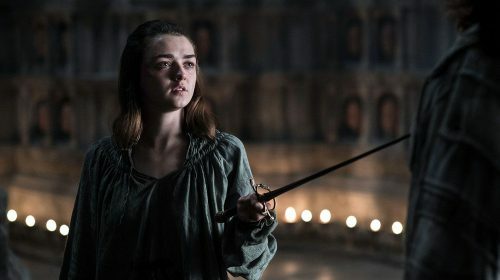 So I figure I ought to take a page from Arya Stark’s playbook and start keeping tabs on my list of enemies. Some of my enemies are emotions: despair, terror, vindictiveness, arrogance, numbness. Some of my enemies are philosophies: authoritarianism, statism, socialism, fascism, anti-human religiosity, sexism, racism. Some of my enemies are habits: procrastination, stagnation, indebtedness, dishonesty, lateness, failed promises, conformity. Some of my enemies are attitudes: contempt, subservience, helplessness, status-seeking. You’ll notice there are no people on this list. That’s because all people are capable of change – all people are capable of being my friends, or at least of not being evil. If I’m going to choose enemies, I also might as well pick ones that I’m never going to fully defeat. A good long battle will make me strong for a good long time, and a big-enough enemy is a good motivation for a struggle which will take a lifetime. Another grace of my particular enemies list is that it makes my choice of tactics simpler. With enemies like procrastination, I can know that any action I take toward a creative goal is a victory- and any procrastination is itself a defeat. With enemies like despair, I can know that giving up would be the only form of failure. With enemies like authoritarianism and statism, I can remind myself that I can only win by respecting the freedom of others. The way of power isn’t open to me. Finally, I think I’ll find that listing out these enemies will make it far harder for me to subconsciously slip into treating them as friends. If I remind myself routinely that vindictiveness is an enemy, it won’t find any hospitality in my heart. The stake is $US100 and the agreed criterion is that, for Bryan to win, the average Eurostat harmonised unemployment rate for the EU-15 over the period 2009-18 inclusive should exceed that for the US by at least 1.5 percentage points. Ten years later, the bet’s results are now in. The average U.S. unemployment rate during this decade was 6.8%. The EU-19 (the original EU-15 plus the Baltics and Slovakia) was 10.3%. Since the EU-15 is no longer widely available, Quiggin would have been within his rights to hold out for slightly adjusted numbers, but via email he has nobly decided to concede. Since the Baltics and Slovakia have low populations, they couldn’t sway the final figure much – and in any case, unemployment rates for the Baltics and Slovakia aren’t major outliers. The upshot is that I won the European unemployment bet by an enormous margin of 2 full percentage-points (on top of the original 1.5 percentage-point edge). During the dot-com bust, U.S. unemployment remained below Europe’s, but it clearly rose faster. Isn’t this further evidence that the mainstream case against European labor market regulation is overstated? On the contrary, this is precisely what the mainstream case predicts! Europe makes it harder to get rid of workers, so it’s only natural that when a big shock hits, U.S. unemployment rises more. However, precisely because it is easier for American wages to adjust and American employers to change their minds, our labor market is also relatively quick to recover. From a labor market perspective, though, Quiggin’s incarceration adjustment would only make sense if you thought that most or all of the people in jail would be unemployed if they were released. That doesn’t make sense to me – while the people currently in American prisons might not be model workers, most of them could easily be gainfully employed on the outside. Notice: Even if you think that the people in jail have no desire to work, you’d expect this to show up in labor force participation, not unemployment. After all, to keep counting as unemployed, you have to keep trying – and failing – to find a job. That said, I heartily commend Quiggin for actually making our bet. He towers above all of the apologists for European labor market regulation who refuse to put their money where their mouths are. Stepping back: Isn’t it possible that European-style labor regulation still helps workers, because the extra wages outweigh the lost hours of employment? To be fair, this optimistic story is consistent with standard estimates of labor demand elasticity. However, the optimistic story overlooks a pessimistic truth: Most of the harm of unemployment is psychological, not material. Holding income constant, the employed are much happier than the unemployed. Hence, no sensible person would want to see U.S. workers’ wages rise by 10% if the unemployment rate rose 3.5% as a result. And psychology aside, remember that the welfare state forces active workers to support the idle. So when regulation forces wages up, even the lucky workers who keep their jobs ultimately forfeit much of what they gain. What did I learn from this bet? Back in 2009, I was unaware that Germany had seriously liberalized its labor markets a few years earlier. Since then, German unemployment has fallen from a peak of over 11% in 2005 to 3.3%. The Great Recession barely happened in Germany; unemployment inched up from 7.1% in late 2008 to 7.9% in mid-2009, then continued its free fall. There’s no reason all of the other high-unemployment countries in Europe can’t swallow their pride and follow Germany’s path to progress. Well, unless “We’re too busy debating populism versus socialism” counts as a reason. By my count, this betting victory brings my record to 19 wins, 0 losses. Yes, perhaps I’ll see my first defeat later this month. But even if I do, I’m not afraid to repeat that I have publicly demonstrated that my judgment is good. And in my demonstrably good judgment, radical deregulation of Europe’s labor markets is long overdue. I’m happy to make the Quiggin bet all over again with anyone who’s interested, but what’s the point? My homeschooled sons understood all of this when they were 12. Forget ideology. Let’s all join hands, admit that labor market regulation is a scourge, and tear down these paper walls. 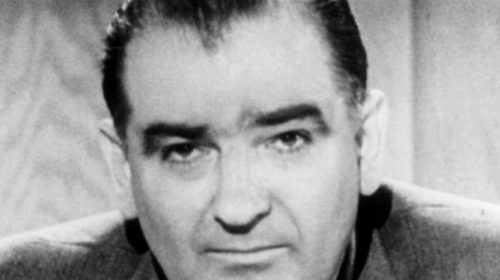 The stale whiff of McCarthyism stole across the venue of the State of the Union address last week. POTUS played the “socialism” card, or rather he just showed the back of the card, allowing no peeks at the face of the card — not of its value, not of its suit. He was deliberately vague and ambiguous. He traded in his wall and immigration, in favor of an even more nebulous concept, gearing up for 2020. Wonder why he didn’t go all in against communism? I am all in against both communism and socialism. I believe that nothing should be subjugated to state interests. That is why I believe that when politicians use fear of these preposterous systems, they are playing with fire. Let’s face it, immigration and the border wall had 6 years of exposure under Bush II, and now another two under POTUS (clown car edition). That’s more than double the mileage that Joe McCarthy got out of the era of McCarthyism. All adult Americans should consider it a mandatory educational chore to learn, in some depth, the who, what, why, when, where, and how of the fervor against communism that distracted us, to the benefit of exploitative politicians, in the 1950s. Google “books, articles, and research on McCarthyism.” Make your own choices — you are responsible for what you learn. Further, you are responsible for what you make of that knowledge. It may be instructive to note that POTUS has invoked the words “witch hunt,” it seems, I could be wrong, more than has been done by any politician since the era of McCarthyism. 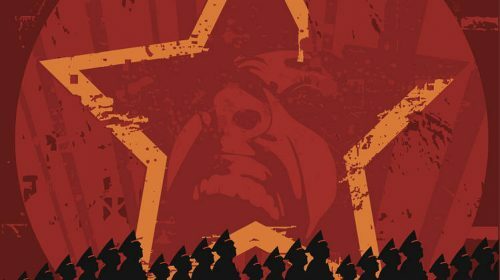 Looking back at 20th Century “world leaders” [sic] such as the domestic enemies Woodrow Wilson, FDR, and LBJ, and foreign thugs like Stalin, Hitler, Churchill, and all the rest, it seems socialism was all the rage– even when called something else. So many “common people” also fell for the socialism lie and thought envy was a great thing to rally around and use as a foundation for a “society”. Socialism was everywhere, and we are still suffering the effects. 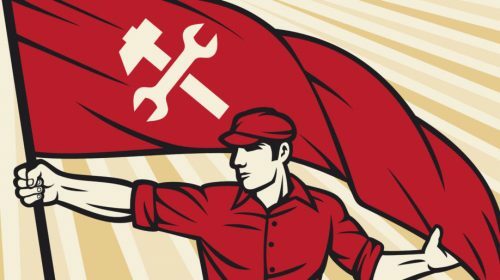 The 20th Century should be known as the Socialist Century. My hope would be that it would be a singular mistake, not repeated in the 21st Century. But I’m not optimistic. Judging by current trends, we may be entering Socialist Century 2.0. And it may end up being even worse than the previous century before it’s over and done. Too many pseudo-thinkers still love the idea of stealing from some and giving to others. For political power and money. They lie when they claim it’s about caring. But, all politics is based on lies, so what do you expect? It seems obvious that socialism will increase until self-inflicted disaster forces an end to it. I hope you and I can use the awareness of what’s coming to prepare and prosper throughout it– or at least survive it. If you can profit from it, on the backs of the socialists who are trying to eat you alive, do it with a clear conscience. 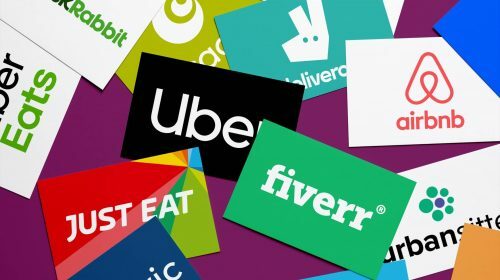 If you can profit off the socialism by helping the rare fellow non-socialist through the rough times, just know you are providing a service– you are one of the good guys. Through all the pain it causes you, just remember the monumentally greater pain it will cause the dolts who embrace it when their chickens come home to roost. They’ll be shocked and caught by surprise. You won’t. That makes you mighty.